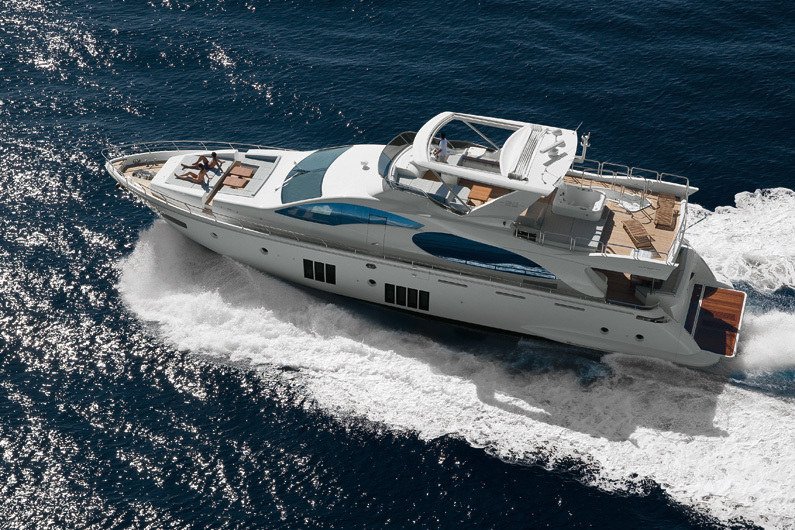 Introducing the the new semi-custom Azimut 88 which continues the 2011 flybridge range expansion for the Italian company. 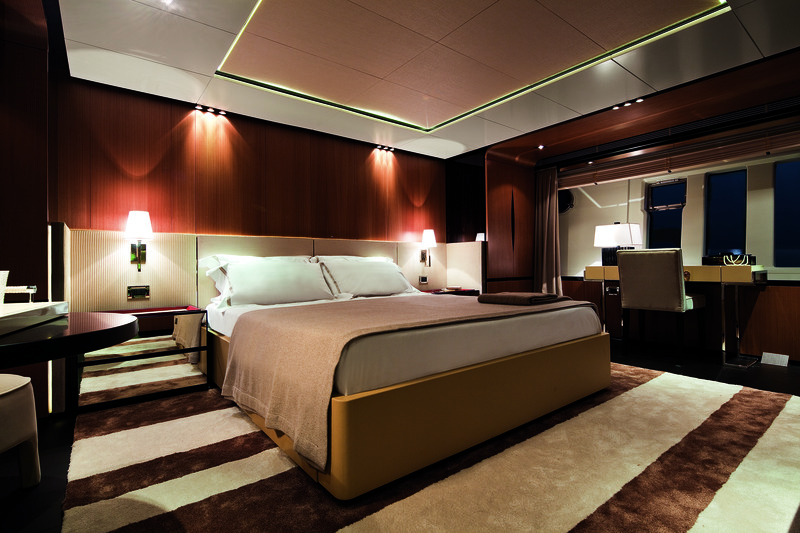 Boasting an impressive 27 square metres of owner and guests privacy, born from innovative solutions, and light that reveals new entry points on the lower deck. 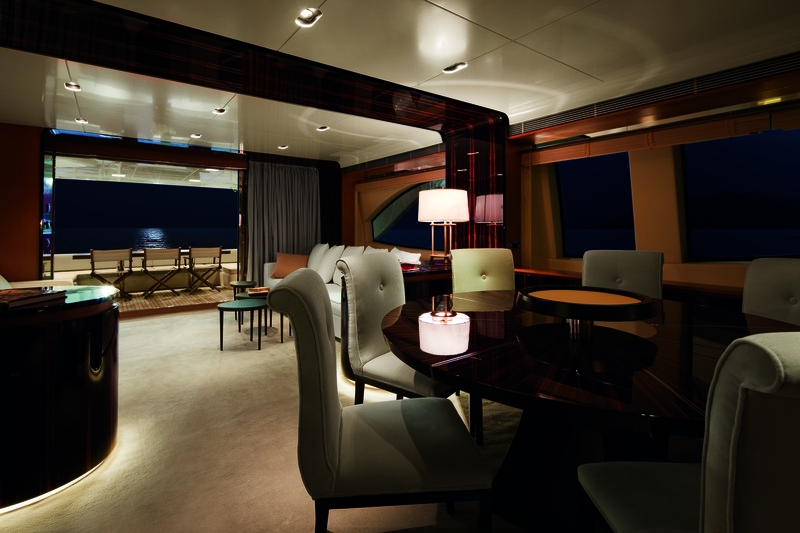 The Azimut 88’s interior re-designing is a presentation of what was already a masterpiece in terms of style and function, and is an in-house designed partnership with the architect Achille Salvagni. 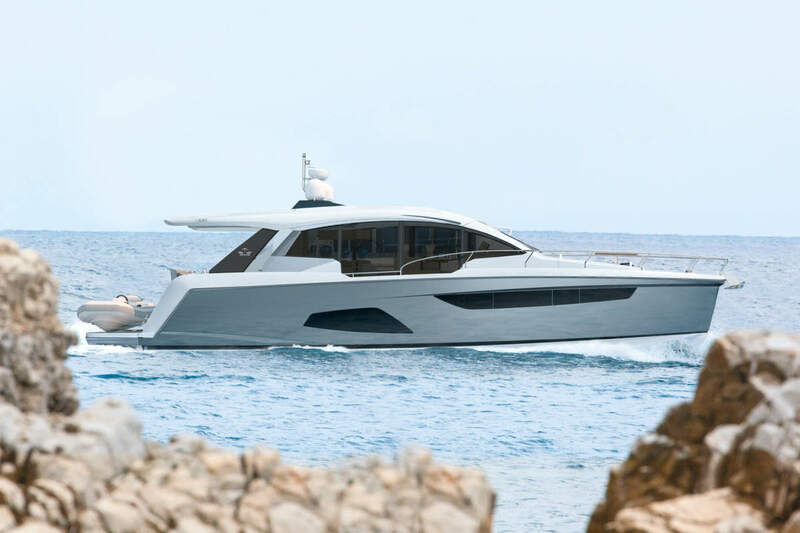 The silhouette is true to lines that typically express that familiar Azimut design, whereas the glass windows in the deckhouse – as well as the double panoramic windows in the hull – introduce unprecedented design elements that command asymmetries that prove to be the new strong point. 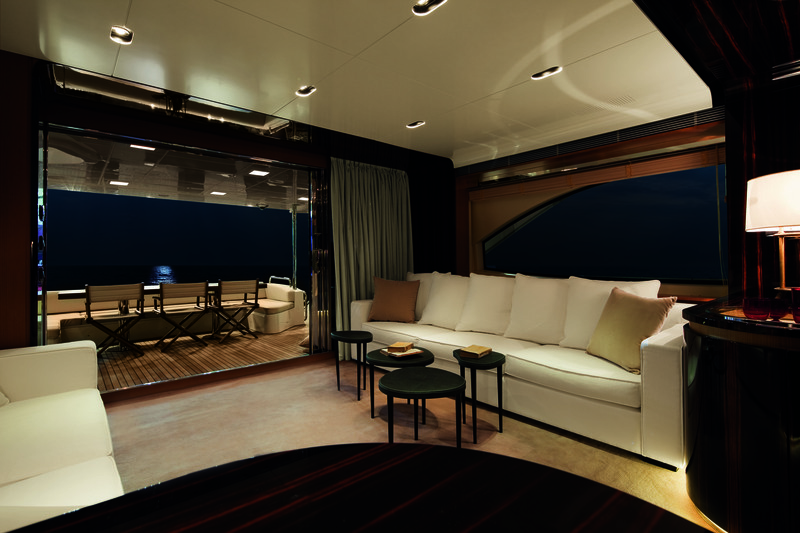 The sun, light and unique charm of the sea and life outdoors are all concentrated in a large flybridge (55 square metres), that is decked in teak and protected by a hard top that increases the pleasure of experiencing this splendid “balcony” overlooking the sea. 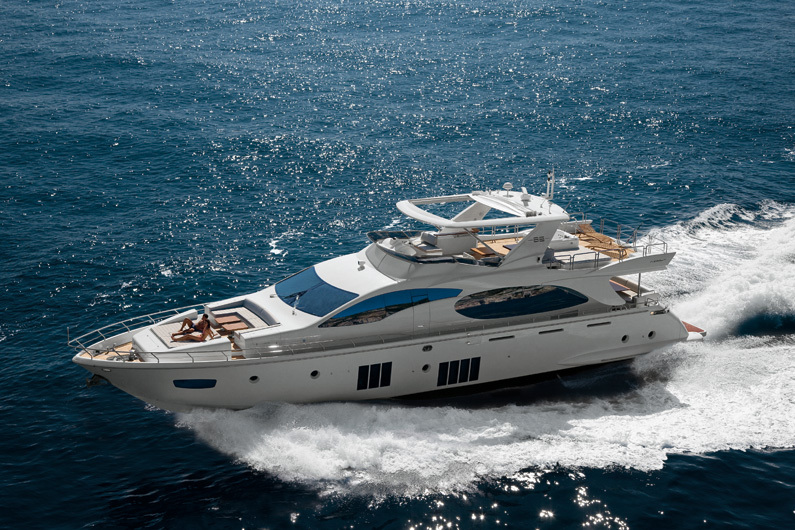 The new Azimut 88 will sit amongst its competitors in any marina with its head held high and is testament to the company’s continued investment into design innovation.